We only sell seasoned firewood! All of our firewood is local to Northern Illinois and is cut, split and stored onsite. That means your fire starts quickly and burns cleanly — less hassle, more enjoyment. Take your own already-split firewood on your camping trip within Illinois and avoid paying the high on-site campground prices. Or keep your backyard firepit or fireplace stocked for the season! 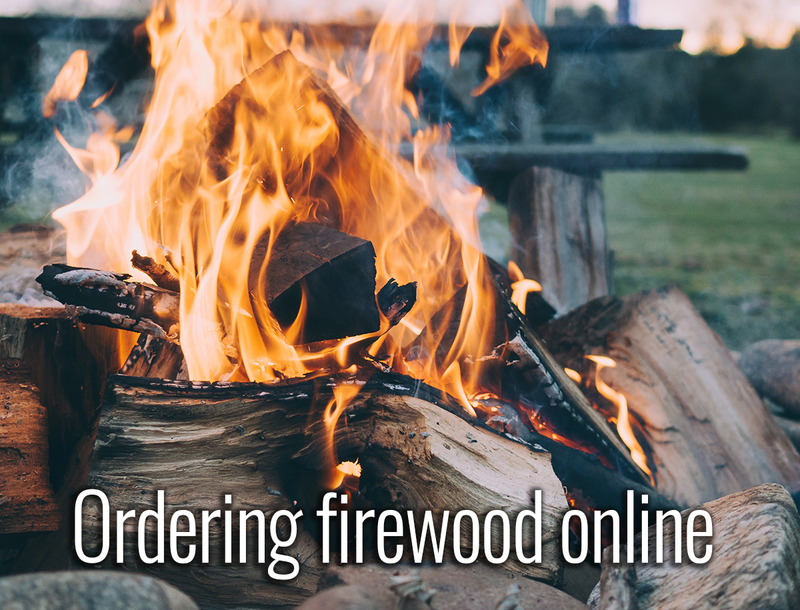 We can deliver and stack your firewood order. What’s the best firewood for campfires? Oak – Most popular. Slow burning, long lasting, lots of heat, less smoke. Great for cooking. Birch – Soft, starts quickly and burns quickly but brightly. Makes for a lively campfire. Try mixing with other hardwood varieties! Cherry – Burns slowly and hot. Pleasant scent. Hickory – Dense hardwood, like Oak. Burns very hot. Can’t decide? Want some of each? We also sell mixed variety and combo cords.